A concise, understandable explanation of what the Trinity is, why it matters, and how a revelation of this significant teaching leads to renewed worship and deeper understanding of what it means to be a Christian. By Dr. James White. Discover Afresh the Living Truth of a Foundational Christian Belief. 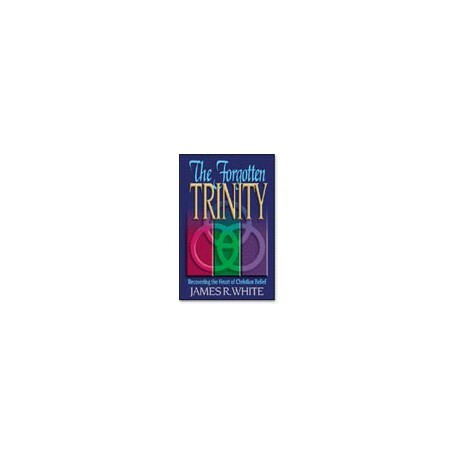 The Trinity is a basic teaching of the Christian faith. It defines God's essence and describes how He relates to us. The Forgotten Trinity is a concise, understandable explanation of what the Trinity is and why it matters. It refutes cultic distorts of God. It shows how a grasp of this significant teaching leads to renewed worship and deeper understanding of what it means to be a Christian. And amid today's emphasis on the renewing work of the Holy Spirit, The Forgotten Trinity is a balanced look at all three persons of the Trinity.